Kauai Rolf Method | Release Pain and Patterns. Step Into Freedom. 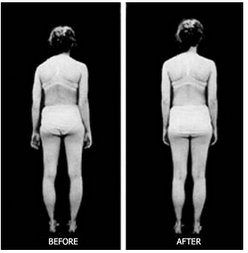 Evolve with Rolfing. Release Pain and Patterns. Step Into Freedom. Evolve with Rolfing. Dr. Ida P. Rolf, Ph.D.
How we hold ourselves is who we are. Every experience, emotion, and event of our lives is reflected in our being. We all have the potential for full radiance, peace and freedom. Yet most of us carry the residue of pain and contraction within us. Structural Integration helps people remember and reflect their greatest potential. By contacting the fascia, or the matrix of connective tissue that holds our muscles and bones in relationship, the practitioner is able to help the client restore a harmonious relationship with their body. Life is meant to be easy. During your Rolf series of ten sessions, you will find new pathways opening as old patterns are released. Gravity resumes its role of feeding rather than stealing from your energy field. When more energy is freed from fighting to stand upright, it is available for higher levels of creativity, efficiency, and growth. Many clients experience feelings of length and lightness, release of old emotions, enhanced physical performance, and relief from chronic pain. For each person, the results are different. For all, they are profound. Structural integration is a series of ten sessions designed to organize the structure in the field of gravity. The goal is simple. The results are profound. Release old patterns. Find ease and extension. Evolve.